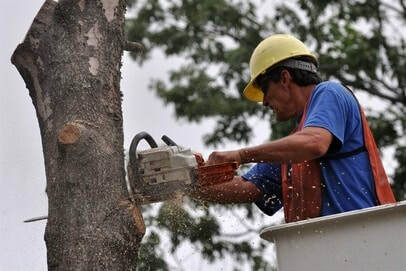 ​You want a tree service in Rochester MN that’s affordable, reliable, talented, and experienced. Look no further. Rochester MN Tree Service will service your tree needs with all four in mind. Don’t just hire any old Tree Service, hire the best! Rochester MN Tree Service loves getting into the weeds (pun intended) of tree care. We are meticulous about every inch of your yard. We are professionals with an absolute NEED to do the job better than any other tree care service out there. It’s just the competitive drive in us. We like to go above the standard and make sure we leave your place cleaner than we found it. You can expect your area – whether residential, commercial, apartment, hotel or motel to look tidier after we’re done with servicing your tree needs. But let’s be honest, who WOULDN’T want a couple of overly competitive tree care professionals to handle their tree issue – Tree removal, tree trimming, stump grinding and removal, planting and fertilization, emergency tree service – You bet we do it, and we do it better than any other tree service out there. You send over your address and we come down with all of our equipment and a big fat Boy Scout smile on our face. We perform an estimate for the job, put you at ease and get working! You stand in disbelief at your yard’s magical transformation and scratch your head asking why you didn’t call the best tree care professionals in Rochester MNsooner! Check Out the Services We Offer at Rochester MN Tree Service Below! Natural storms and disasters can be the worse. They cause millions of dollars in damages including fallen trees. Rochester MN Tree Service is here to put your worries at ease. We WILL remove that tree that decided to take a nap on your driveway. Or that tree that decided it wanted to be a part of your home and landed on your roof. No matter the situation – We’ve seen in all before. We will even see the stump grinded down and patch up the area so there are no remnants of that tree present! Looking to clean up your yard and amaze guests every-time they step outside your home? 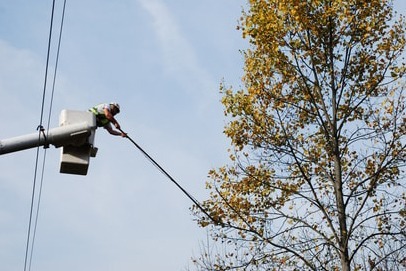 Rochester MN Tree Service takes tree trimming to the next level – we will meticulously craft a plan that will WOW anyone stepping into your yard. Tree trimming takes precision, experience, and talent. We’ve been in the business for a LONG time and know exactly what you’re looking for. You want the peace of mind that comes with hiring a tree service that understands how to factor in creativity. By the time we’re done – all your trimmed trees will complement each other! Stump’s can be a huge eye-soar and all around terrible aesthetic to have in our yard. We know how frustrating it can be to have a stump that just won’t move. We’ve been grinding and removing stumps since we were babies it seems like! It doesn’t stand a chance. Rochester MN Tree Service will go above and beyond – grind the stump down, remove it (if you so choose), fill the hole with grindings, patch it up and make it seem like it never existed! Planting is the core tenet of having an aesthetic backyard. It allows you to plan how your yard can look in the future. It takes time for plants and trees to grow – the sooner you have professionals come take a look and audit your yard for planting – the sooner those plants and trees can grow to fulfill your vision. Rochester MN Tree Service WILL transform your yard into a spectacle that will make even the nicest of neighbors envious! 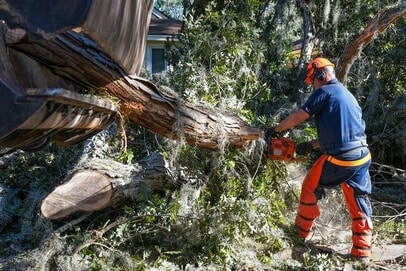 Emergency Tree Care needs usually take place after a bad storm causing a lot of winds, rain, or hail. That does not mean that its not possible that a tree just grew old and decayed causing it to lean over and become a safety hazard. Rochester MN Tree service will take care of that tree that seem to have been up one day and down the next. We have got state of the art equipment and persistence to get those massive logs away from your space! Contact us today and we will be at your place before you know it! Rochester MN Tree service values your business and knows that you want professionals to take care of your tree care needs. We have an outline on how to approach all business and do not veer of for any reason. Outside of exchanging some pleasantries and being courteous when we first meet you – we locate our target, take aim, and get busy! We respect your space and set up a perimeter for the working space. There is zero idle time between when we start work and when we end it. We take pride in getting the job done right the first time. It’s just the competitive drive in us. So put your mind at rest and call the best here in rochester mn! We have a hundred percent success AFTER doing countless jobs! Doesn’t matter the job – from the smallest to the biggest – we’ve done them all with zero issues. In fact, we welcome the challenge because it really seems like there is nothing we haven’t seen before. That one tree with limbs sticking out into the neighbor’s property that requires a skyscraper of a ladder to get to? Yup, we’ve got just the thing for that. We’ve got the personality to make friends so even if it requires talking to your neighbor, we’re all up on it! But honestly, we’ve been in the tree care business for a LONG time and we’ve got the big broad shoulders and beefy arms to prove it. We’ve seen it all – grinding through full work days in the mid-day sun is a non-issue at this point. No job is too challenging for the experience we managed to obtain! That’s how we’ve established ourselves from the rest of the pack. It’s our willingness to commit to punctuality. In our heads, if we’re not 5 minutes early – we’re late. We value your time and understand there are other (less than ideal) options out there. And because of that it’s one of our commandments of success – BE ON TIME! We know Rochester, MN like the back of our hands – Even through the worse traffic, we will plan out a way to get to you on time, with a big fat smile, an overly competitive spirit and an absolute NEED to get into the weeds! 😉 It’s not a surprise that we have the reputation of being the number one arborists in the Rochester, MN area! Contact us today for a free estimation! We’re continuously producing quality content on all things trees removal, trimming, and outdoors on our blog. We’ll be adding our first post soon, so stay tuned! We pride ourselves on not just being the best arborists in town, but people you can depend on! Check out the stellar reviews on our Google listing! We know that there are many tree services out there, in our beloved city of Rochester MN but the list above constitutes all the reason why we’re different. We always keep the customer in mind and pride ourselves in delivering more value than could possibly be asked from us! We specialize in planting and fertilization, landscaping, tree trimming and pruning, stump grinding and removal, tree removal and emergency tree services. Sustainability and environment are core tenets of our business. All salvageable wood products are sent to a place where they can recycle it into new custom furniture or other wooden products for someone else to use. If there’s a specific service that you want that hasn’t been listed – Do let us know. Chances are we do that as well. Give us a call today and put your tree needs at bay with Rochester MN Tree Service! We are always adding new services that can be beneficial to the community so keep checking back frequently. What areas in Rochester, MN do you serve? That will depend on the job. We will come out to your address, asses the h=job requested, and give you an estimate immediately. We just need to see what we’re dealing with before we can give you an exact and accurate amount. We stick to the number given. No hidden fees. No up charges and that’s a promise. Call 507-225-0594 and we will set up a day and time that works for you based on your schedule. We have had zero accident’s since we’ve been in business and don’t plan on starting now. That being said – we get that you’re wary and for this reason – we will come out and explain our damage policy when we perform our estimate assessment. Give us a call today at 507-225-0594 and you’ll be greeted with a friendly hello! Should your needs to be a fit for what we offer – we will schedule a time for an estimation and get to your address before you have time to make us lemonade! We’ve got your back and your yard! We are open 24/7 for your convenience so don’t hesitate and get the tree care service that will put all your tree care needs at ease! And if you like the way we write – be sure to check out our regularly updated blog!